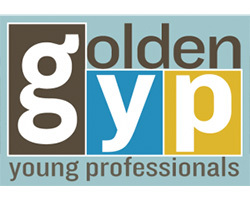 Golden Young Professionals Group (GYP) is an organization for business professionals, ages 21-40, dedicated to building a better Golden. We are motivated, energetic and certain to become Golden’s future leaders. We sponsor, promote and support social activities involving members of the Golden business community. GYP offers its members a link between their personal passions and professional ambitions. GYP’s agenda is to provide young professionals living or working in our community with the opportunity to expand their personal networks and build lasting connections within Golden’s professional and social arenas. We are focused on professional development, community service and enjoying the local social scene. Our goal is simple: To engage and connect young professionals and positively shape the future of Golden. Professional Development Committee: Responsible for providing members with opportunities to enhance their leadership and professional skills, to connect with other current community leaders and organizations to build successful careers and contribute to the lives and prosperity in the region. Executive Committee: Comprised of 4 elected officers, committee chairs, Chamber Representative and possibly a couple at-large members. This committee shall serve as the governing body for the organization. It is responsible for the overall policy and direction of the organization and shall possess authority, duties, and responsibilities, along with operating guidelines. Community Service Committee: Responsible for connecting GoldenYP members to philanthropic and volunteer programs by promoting opportunities for participation, involvement, and leadership. Social & Networking Committee: Responsible for hosting, coordinating and promoting events and activities with the community to connect Young Professionals with one another. Recruiting & Membership Committee: Responsible for identifying and recruiting potential Young Professional members and leaders by promoting the benefits of membership. Marketing Committee: Responsible for supporting the objectives of the other committees and fostering the growth of the organization through a combination of marketing, advertising, and PR work.